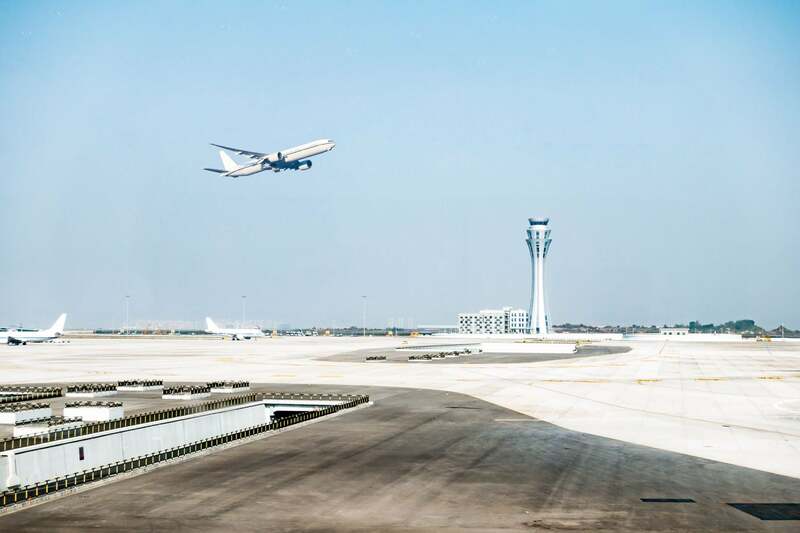 Airports in the United States are considered some of the worst in the world, and though they’re the last place you want to get stranded just ahead of that crucial meeting or significant personal event, your chances of having that happen are high. In 2017, more than 612,000 U.S. passengers were affected by flight cancellations and delays of three hours or more. During my own business travels around the world, I saw a critical void in the airline industry where airlines had been allowed to disregard passengers’ rights to a timely flight, with no one to advocate on the passengers’ behalf or hold airlines accountable. The flight delays, cancellations and overbookings I personally experienced while traveling, and the important meetings I missed or had to reschedule due to a flight disruption inspired me to launch AirHelp, to give travelers like me an easy way to claim the compensation owed from airlines for travel disruptions. Start with an app from the Transportation Security Administration. These days, as a U.S.-based traveler, you have to expect some flight disruptions, but there are steps you can take to prepare, which will make your journey as smooth as possible. Certainly an important one for airline passengers comes in the form of the MyTSA app for checking delay information and current weather conditions at airports nationwide. The app also includes a guide on how to prepare for and get through your security checkpoint quickly — and how to save time and money during that process. The point is, you should first arm yourself with data; with the right information, you can decrease your chances of having to go through a delay or cancellation in the first place. With this in mind, each year we release the AirHelp Score, rating the world’s best and worst airlines by on-time performance, as well as ease of claims processing and quality of service. The goal is to help travelers plan ahead and avoid cutting it close to missing an important event. Using those ratings, we present, below, lists of the most disrupted flight routes in the United States and the best times to fly, to avoid a travel nightmare and educate you, as a traveler, on your best options. Across the country, these routes were the worst when it came to on-time performance. According to the data collected, travelers flying out of these busy airports in 2019 will likely experience a delay or cancellation, meaning that these routes will be most likely to delay your trip and make you miss an important meeting or event. Remember, too, that flight disruptions also get worse during the busy holiday travel season; so keep this list on hand for easy reference when you’re planning a personal or business trip later this new year. The good news is, the data can also advise you when to fly in 2019, to avoid disruptions, to beat the busiest airport traffic and arrive on time at your destination. If you’re looking for the best times to plan a flight out of the top five busiest airports in the United States, the early bird gets the worm. Your best chances of catching an on-time flight at these airports occur between 6 a.m. and 12 p.m., on any day of the week. Ours is not the only company helping travelers to organize (and survive) the chaos of booking that important personal or business journey. To make sure you cover your bases, download these apps to make every leg of your next trip a breeze. Dayuse: Dayuse allows you to book a hotel-room stay specifically between the hours of 10 a.m. and 4 p.m., for 50 percent to 75 percent off the nightly rate. AirHelp: If you have experienced a delayed or cancelled flight, you can check your eligibility for compensation on the go, and make a claim in a matter of minutes through my company’s free in-app Boarding Pass scanner. The app is available for iOS and Android. In addition, passengers can check for compensation for flights as far as three years back, using AirHelp’s new tool, by simply connecting its inbox to AirHelp.com. FLIO: If you have a long layover or your flight is delayed for a few hours, make the most of your time trapped in the airport with FLIO. This app and service provides extensive info about an airport, including any services offered, wifi networks, available lounges, transit options and places to eat. LoungeBuddy: With LoungeBuddy, stressful layovers are a thing of the past. The app allows you to book and purchase instant access to an oasis at the world’s most popular airports, and all the premium amenities that oasis offers — regardless of the airline or class you’re flying. With LoungeBuddy, all travelers can access any of the lounges in the app’s network, meaning no memberships, elite statuses or first-class status required. Use LoungeBuddy on the day of travel or up to two months in advance. MyTSA: This app, mentioned earlier, can quickly search which items may be taken through the checkpoint and onto the airplane. You can also check the delay information and current weather conditions at your favorite airports nationwide, and request live assistance from TSA through the AskTSA social media integration. Hopper: Hopper keeps track of flight ticket prices and periodically provides an update on whether you should buy your ticket now, or wait until later. This travel app includes an incredible level of detail. For example, it not only tells you if you should wait to buy your ticket, but also predicts a date when the price will rise. Hopper further offers to help you book your ticket, if you agree to pay a commission fee of a few dollars.